Artist Piper Perish has moved from her hometown of Houston, Texas, to New York City. Her days are spent exploring; her nights are filled with painting. It's her lifelong dream come true . . . . Except life in the city isn't as glamorous as it looks from afar. Piper's high-pressure work as an assistant to a famous modern artist takes away time from her own art. And Piper's new friend Grace, a budding activist, has Piper beginning to wonder if making great art is really enough. 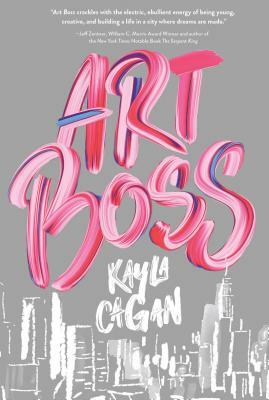 In a story that stands alone but can be read as a companion novel to Piper Perish, acclaimed author Kayla Cagan returns with Piper's powerful and utterly authentic journey of growing up into a strong, independent young woman—as she learns how to make life about art, and how to make that art matter. Art Boss will have readers asking big questions along with Piper. What is art for? What can art do? And how can a young artist change the world? Kayla Cagan is a writer and playwright based in Los Angeles. Her first book, Piper Perish, received universal praise and was a Barnes & Noble Best Book of the Month.